Jordan Tyler is a Chicago native and the man behind the elusive and eclectic new alternative pop musical act, Kullers. Formerly made up of three band members, Kullers has just undergone a dynamic transformation and released a full album self-titled Kullers. Though Kullers saw a transition in identity and location -- now LA-based -- it is clear that the philosophy, determination, and talent behind the act is powerful enough to propel it successfully into the future. Tyler spoke to Blended Magazine about his musical revolution and caught us up on the latest transition in identity and the inspiring move to LA. Can you explain your transition from Kullers as a group to Kullers as a solo project? Kullers did start as a three piece band with two of my friends, Alex Yant and Aidan Kranz. We were best friends from Chicago. Kullers began as an idea I had back in 2015. I wanted this seemingly established band with a full length album to just appear out of nowhere. After months of finishing the album and putting the band together, Kullers was born in May 2016 with Alex and Aidan. We had a really solid 12-15 months, but with Alex and Aidan both being in school, it was tough for us to get on the same page creatively, let alone get ourselves in the same room together. They couldn't do [the band] full time so I kinda just took it solo. I did half an album solo and it didn't do well. It was 10 songs that had already been released and produced very hastily. This was back in Chicago, but it didn't really work out. Then, around February or March of this year, I decided to work on a Kullers revival, a 15-song album. Kullers just had to continue on and the guys understood that I had to pursue it on my own. Kullers is not my name, not a band, not a solo project. It's kinda just… I refer to Kullers as almost not me. It's someone that's not me, it's its own entity. I wouldn't necessarily call Kullers my alter ego, but there are certainly times when there is a separation between me and Kullers. I've written so many songs over the years and while a number of them are great tunes, ones I wanted to include on the last album, some of them just don't illustrate the idea and vibe that Kullers portrays. You can call Kullers a band, a solo project, an act, a shtick, but at the end of the day, Kullers is just a feeling and a presence that is its own sound and style. I just happen to be the person holding the microphone. What was your reasoning for keeping the name Kullers? You know, it's funny, in the transition period I thought about the identity that I would go by and the name is something that represents me and for many reasons. 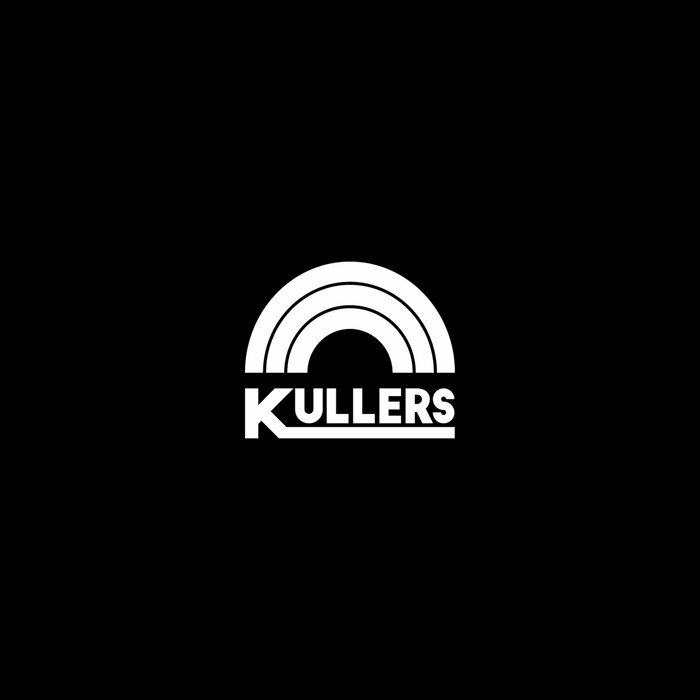 The whole theme and concept of Kullers -- the black and white from the logo -- it all shows up a lot in my life. While writing the album, even before the concept of Kullers came to me, the idea of black and white and color and the contrast between them appeared quite frequently in my writing. There's a lot to think about when something is in color or when something is in black and white. That was fascinating to me. Not to mention in my daily life, I was experiencing things that were very black and white or very colorful, it was just second nature for me to write about it all. Looking past the idea of just color, I found both simplicity and vast detail in basically everything I was doing and that's where Kullers truly stems from. It was only fitting that it continues its journey. Also, I missed that part of me and I wanted to bring it back. Was there any big conflict that caused the band to separate or was it just a conflict of vision and opinions? Honestly, it was just a very friendly exit. From the get-go, Alex was the first to tell me he wasn't about it anymore and was showing a smaller presence in the band. He quite frankly didn't have the time either. Hayden was more determined about the band. He tried to stay on board and juggle it all but, in the end, he had too much school to continue. But for me, the clock was ticking. This was and is too important for me to drop. I'm still friends with them, though. I'm actually going back to Chicago soon to see them. What has been the biggest challenge since becoming solo? The biggest reward? You know it's funny, I don’t wanna say I succeed better on my own but it's been really nice to have everything at my fingertips. That being said, it's also really hard to have everything fall on my shoulders. It's really that double-edged sword of having total control but also just trying to find the time of the day to do it all. There's the business side then there's the creative side and both just kind of battle it out. Sometimes I find myself totally overwhelmed. At the end of the day I know it's a brand and a business, but I would love to just sit in my room and produce it all. As far as handling the business side, being in a new city where I don’t know a lot of people, my biggest thing is to shake hands and just meet people. Network. Some days I feel like the business is leveled with the creative part and some days it still feels like a battle. Really, though, it's all about wanting it. Can you describe your sound? How has LA influenced your sound and branding? To be honest, it was like an epiphany to move out here. I didn't really expect it. I was out here about five years ago and I hated it. It left the worst taste in my mouth, for whatever reason. But I felt very welcomed when I came six months ago. It truly opened my eyes to "Dream City." It's a lot. It's a lot to swallow. It's a lot to get used to. And it's intense. Everybody's doing something out here and that makes sense, you know. People see artists, you tell them that you are one and they're automatically supportive because they get it since they’re artists themselves. They might not be a singer, performer, or whatever. They might be a producer, an actor, they might be involved with direction or even a writer. But, whatever they are, people get it out here which is really refreshing and welcoming. So it all started off on a good foot. There's just so much opportunity, which was very unlike Chicago. In terms of what this city has done for my sound, LA has definitely brought back the classic rock sound. I grew up on classic rock and I still love it 'till this very day, but recently everything has just been rock 'n roll. And because it's been ingrained in me for so long, it's only become more important and more special to me. It's very much a determining factor as to what the future is going to sound like. [But] even just being in areas like the Sunset Strip, you know where the rock 'n roll heyday was. It's intoxicating being there, you know, knowing that Axl Rose performed in the same place that I am right now or just everyone that I look up to. This is where the mecca was so it's very, very inspiring and motivating for me. That being said, because it's LA and there's so many people trying to make it out here -- and not to be bashing anybody -- but a lot of people are just out here trying to do what's cool. Which is fine because a lot of people are succeeding with that. I can't applaud them enough. Because of that, though, a lot of things end up sounding the same and that's fine since at the end of the day there's really only 12 notes on a scale. So it's the way it goes. But, if you can do it right, you're on the right track. There’s so many people doing that out here it's very tempting to end up doing that, doing what everyone else is doing and get caught up in the trends. I feel like one thing that is lacking in today's industry is timelessness. Timelessness comes from what I grew up with: classic rock like The Beatles, The Stones, Guns 'n Roses, Aerosmith, Van Halen, Led Zeppelin. It's what shaped me as a musician. You know, Eddie Van Halen is the reason why I wanted to play guitar at six years old. John Lennon was the reason I wanted to start writing songs. Axl Rose is the reason I perform the way I do. Their stuff is still resonating these days and it came out years ago and I just want to bring that back. Again, not to condemn what anyone is doing now because it's clearly working out for them, but there's something truly special about stuff that came out in the 60's and 70's, which still makes me feel like I'm listening to it for the first time. Tell me about your new album, the self-titled Kullers? Kullers, the entire album is just a culmination of just what I've lived, what I've experienced in the recent past. It kind of all just needed to be summed up as one giant monster. As I said before, you know, I can write a song and it will sound like me but it will be a Kullers song. All of these were, to use the third person, written by Kullers. I'm Jordan Tyler, I create the music that is Kullers, but all of these songs just scream that one entity that is Kullers. I had a number of songs that I wanted to be on the album. I originally wanted it to be 18 songs. Some songs were added later, some songs were taken away and the reason being was that I wanted to put more Kullers songs. It was me singing, it was me doing all the instruments and production but it just didn't fit. Everything needed to fit in the entity that was Kullers. The order of everything, just the way the album flows, the way it sounds, the way it came out -- it's just how it needed to be. It was a lot of work. A lot of hair being pulled out, a lot of long nights, a lot of hangovers… But it was well worth it and I'm just so relieved to have it out there and have everyone enjoy it and take what they can from it. So then, how long was the whole process? Oh man, that's a great question. Now that I think about it, the very first song started in 2015. So yeah, it just kept going. It's funny, some songs were grueling and took so long to create, so long for me to like them and enjoy what I was creating. And then a song like "Tape," the second song on the record, that song came together in two weeks. It's so all over the place. [The album] was a work. It was not a "skate by" kind of experience. I put in my hours. What do you want fans to take away from this new identity project? At this point, I want to remind people that music is more than trends. Music is what makes you feel good, it's what's going to stay with you throughout the years. I'm not trying to be an escape for people whether they're having bad or good times. I just want to be a part of their lives by creating good soundtracks that they live with. At the end of the day, this is my soundtrack. I created music I wanted to hear that was based off what I was going through -- both good and bad. There's so many different themes and topics on the record that stem from love and hate and just being totally bare to anything. Without being tongue-in-cheek, literally just having fun with, I just want to create that soundtrack to people's lives. Whether they take away one song from the album or they take away all 15, I’m doing my job. Sonically, what were some of your influences for the album? There are a number of modern artists that have inspired me. The 1975 is a big one, Vampire Weekend, Two Door Cinema Club is another big one, and Borns. Garrett [Borns] is the coolest dude on earth right now. He's doing a really good job of really putting a modern spin on like glam rock. He's way too cool and he's just so good at what he does. I feel like there needs to be more of that. How do you feel your music sets itself apart from the likes of the 1975 or LANY? At the end of the day music is not a representation but it's your influence that comes out from you. Fortunately, I have so many influences it comes out that way. I will say, for example, the 1975 and I share a lot of the same influences. A lot of their work is very 80's inspired and the 1975 and LANY get a lot of that analog influence as well and it comes out in similar formats. In terms of the music, it's a very similar setup. But in terms of separating myself, the way I create, the way I sing, the way I think is just what comes from me. The way that they do it is fantastic and so fantastic, in fact, that it inspired me. What can expect next from Kullers? What do you hope to achieve in the coming years? For 2019 we're going to have a jam-packed summer. I'm really going to take advantage of festivals and tours, doing that whole festival circuit and everything. Right now, I've just been writing like a madman. Because of the style, the sound, and the certain rawness that I'm going for, music can definitely be expected early 2019. When we're touring, it will just be new music and it's just really going to be a rebirth of rock 'n roll. There's going to be a certain realness and just like a certain… I can't really describe it, but there's just a feeling in your stomach, in your gut sometimes, when you hear that kind of music that just can't be replicated by anything else. That's what I’m trying to bring to the world and remind them that "this is music, this is the future, this is what we need." No, it's very hard for me to stop. I have the opposite of ADD. If one thing isn't capturing my attention workwise, another thing is and I'm focusing on that. Anything else you want to let your fans know? I just want people to know that good sh*t's coming.